Try do-it-yourself barcode label sheets! Design and print on your own computer and printer. 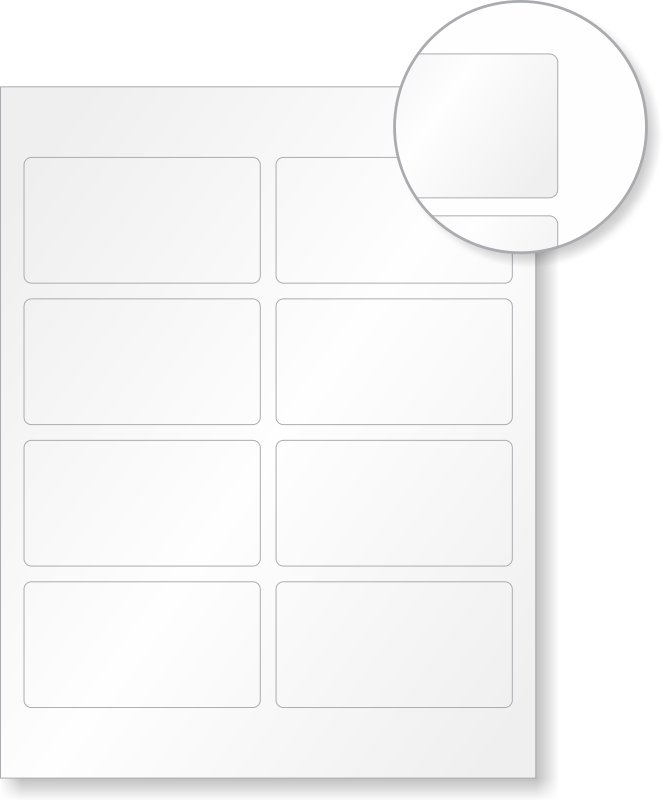 With a design template, you can add text, colors, and logos. Works best in small batches. • Compare laser printable materials to find the perfect fit, from voiding labels to tamper-evident, destructible vinyl. 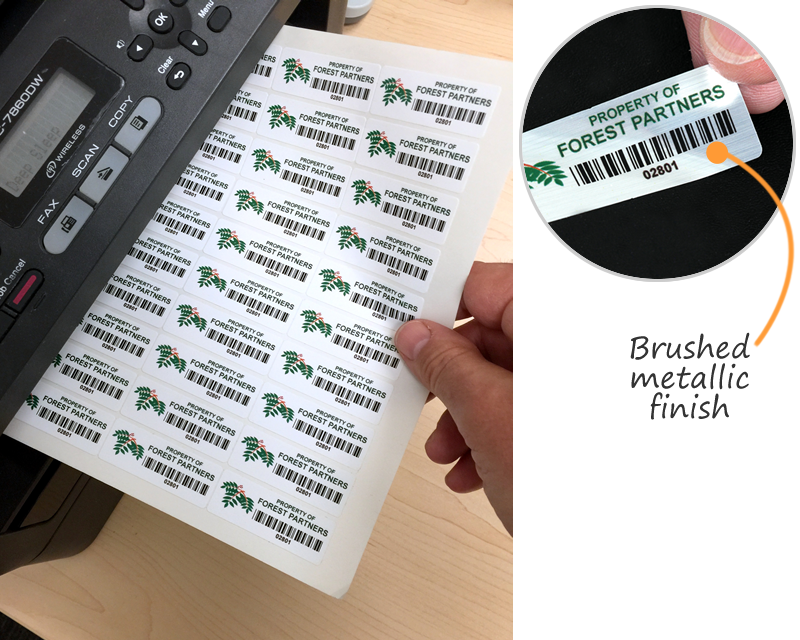 • Tough, durable adhesives and films are ideal for asset tags, sequentially numbered labels, or QR Labels. • Design your favorite labels with our online barcode wizard, QR label wizard, or try our expiration date wizard. 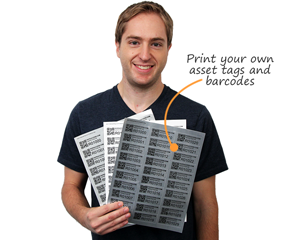 Design wizards produce a sheet of barcode labels to print at home. 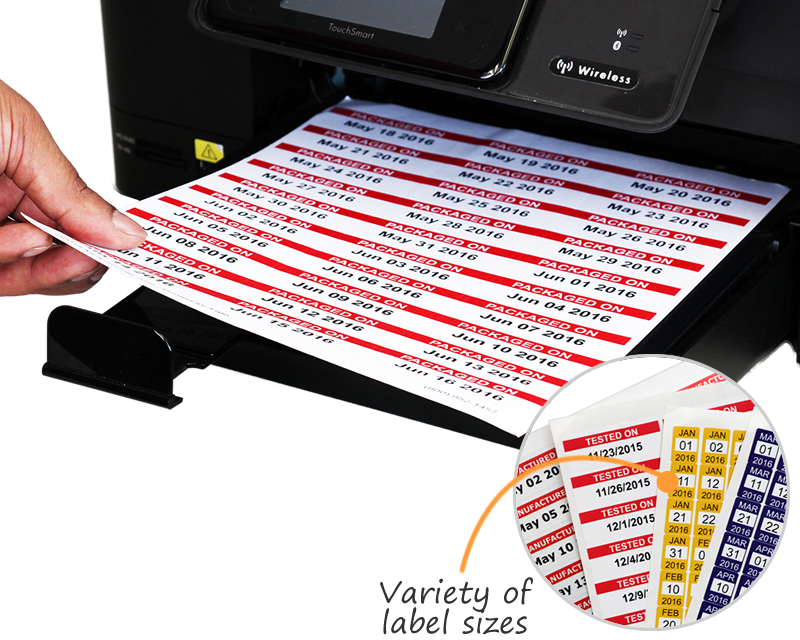 Low cost labels print well and feature an aggressive adhesive. LusterGuard finish adds a professional touch. 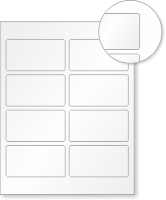 Labels are made from metallized polyester, with a brushed aluminum finish. Vinyl labels break into small pieces upon attempted removal. Cannot be removed intact. 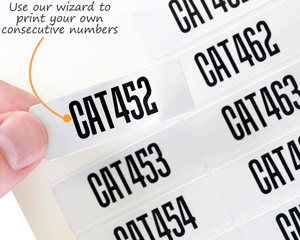 Ideal for seals, warranty notices, and asset labeling. Leave a distinctive “VOID” pattern in silver on removal. Cannot be reused. Polyester VoidGuard™ labels resist chemicals and high heat. Labels stick well, but still remove cleanly. Polyester cloth has nylon strands for extra strength. Engineer grade reflective, great for long-distance scanning. Or, use laser printable sheets for messages you can spot in the dark with a flashlight. Easy to print my naming convention and logo. Easy to print and apply...so far so good! Labels took some time to get lined up correctly but they looked great and appear to be durable. I will definitly use this product again. Good quality labels, with strong adhesive. Just need to make sure you give them ample time to completely dry. I can't stop tagging stuff! I think these labels work GREAT once you get the laser printer on the correct setting. I had some trouble, but the company is shipping additional labels to me to replace the ones that didn't print right. make sure you use a laser printer because they are NOT inkjet printable labels. Make sure you set the laser printer on a heavy weight, high gloss setting, or check with the company before you try printing..